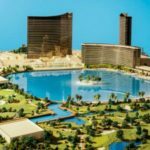 STEVE WYNN PROPOSES LAGOON PROJECT AND ADDED HOTEL: Steve Wynn is proposing to re-image the former Desert Inn golf course behind the Wynn and Encore resorts into a 38-acre lagoon accompanied by a 1,000-room hotel with a casino, restaurants, meeting space and nightlife. The project for now is being called Wynn Paradise Park and if it gets approved could possibly open in 2020. The projected cost is $1.5 billion or more. ‘BAZ – STAR CROSSED LOVE’ WILL PREMIERE AT THE PALAZZO: “BAZ – Star Crossed Love” will be revealed on June 25 in the redesigned Palazzo Theatre featuring a new generation modern and intimate cabaret with a high-energy movie-music mash-up of the world’s most iconic love stories, as imagined by famed film visionary, Baz Luhrmann. Inspired by Luhrmann’s signature take on “Romeo + Juliet,” “Moulin Rouge,” “The Great Gatsby,” and “Strictly Ballroom,” this theatrical concert will feature soul-stirring performances from an ensemble cast and band. “BAZ – Star Crossed Love” will play Tuesday through Saturday at 7:30 p.m. with preview performances beginning June 21. Tickets start at $59.50. 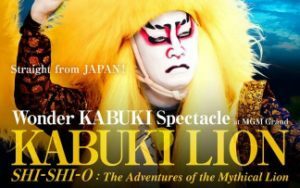 KABUKI MASTERS WILL HEADLINE AT MGM GRAND: Internationally renowned Kabuki masters will perform six shows in the David Copperfield Theater at MGM Grand May 3-7 in “KABUKI LION Shi-Shi-O: The Adventures of the Mythical Lion.” The visual spectacular stars Ichikawa Somegoro, the world’s most celebrated Kabuki artist, and brings to life one of Japan’s national treasures. Tickets start at $65. This coming-of-age tale tells the story of Shi-Shi-O, a devout Buddhist who sends his children on a mission to defeat a mythical creature and retrieve a sacred sword that has been stolen from Monju, the deity of spiritual wisdom. This cultural show will be performed during Japan’s Golden Week, which commemorates several national holidays including Shōwa Day, Constitution Memorial Day, Greenery Day, and Children’s Day. 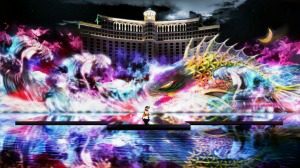 To celebrate Golden Week, dynamically designed hologram samurai shows will return to The Fountains of Bellagio from April 29-May 7 with daily shows at 8, 9, 10 and 11p.m. LIBERACE GARAGE OPENS AT THE HOLLYWOOD CARS MUSEUM: The new Liberace Garage museum opened to the public last week at The Hollywood Cars Museum located at 5115 Dean Martin Drive. 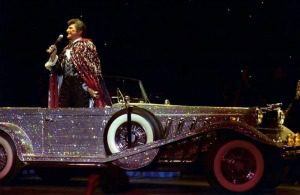 The Liberace Foundation for the Performing and Creative Arts unveiled legendary automobiles from his stage acts. The new experience features vehicles such as the 1961 Rolls Royce Phantom V limousine, which was used for his acts at the Las Vegas Hilton and shown in the award-winning HBO movie, “Behind the Candelabra.” The new 5,000-square-foot space also includes event space. Hollywood Cars Museum is open seven days per week from 10 a.m. to 5 p.m.
WYNN ANNOUNCES AVICII’S FINAL DATES IN LAS VEGAS: Grammy-nominated artist/producer Avicii’s final dates at Wynn’s Encore Beach Club and XS Nightclub will be the only and final time to see him live in Las Vegas. Avicii recently declared his official retirement from live performances in a heartfelt Facebook post to fans. Meanwhile, Avicii’s is honoring all of his upcoming 13 dates at Wynn through Saturday, June 25. TOAD THE WET SPROCKET and RUSTED ROOT VISIT BROOKLYN BOWL: Legends of alternative rock Toad the Wet Sprocket and the percussion-driven Rusted Root will co-headline a night of nostalgia and new tunes at Brooklyn Bowl Las Vegas at The Linq on Monday, July 11 at 9 p.m. Tickets start at $35. Toad the Wet Sprocket was named after a fictional band Monty Python’s Eric Idle created for the program “Rutland Weekend Television” in 1975. 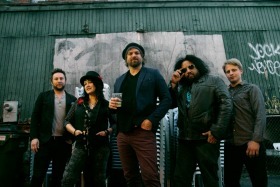 Performing together for more than two decades, Rusted Root has eight albums under their belt and sold upwards of three million records. ARIZONA CHARLIE’S BOULDER OPENS RENOVATED BUFFET: Arizona Charlie’s Boulder on Boulder Highway has opened its completely renovated Charlie’s Market Buffet. 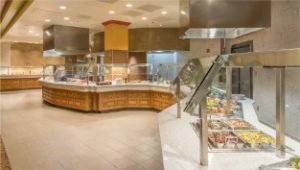 Previously known as Wild West Buffet, Charlie’s Market Buffet offers an assortment of American and international cuisine with carving stations, seafood, pasta dishes, fresh salads and desserts. Weekly specials include “Tuesday BBQ Night” from 4-8 p.m. and the “Prime Rib Dinner” Friday-Sunday starting at 4 p.m. all three days. The restaurant’s new look is up-to-date and contemporary. 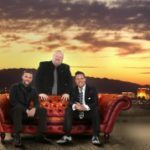 THE LAS VEGAS TENORS WILL SERENADE AT THE SUNCOAST: The Las Vegas Tenors will return to the Suncoast Showroom May 14 and 15 at 7:30 p.m. Formed in 2005, the current lineup features original member Bobby Black, joined by new members Paul Vann and Lou Gazzara. This trio performs everything from rock, opera, country, rhythm and blues to everything in between. Tickets start at $20. GRANT GRIFFIN HEADLINES ‘A MUSICAL JOURNEY’ AT RON DECAR’S: Grant Griffin will headline an intimate one-man show, “A Musical Journey,” a travel in time from the 30s to present day, at Ron DeCar’s Event Center on Saturday, April 30 at 7 p.m. 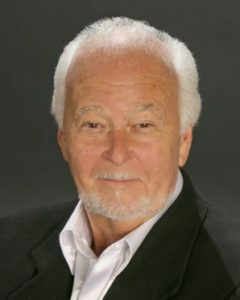 In show business, Griffin’s career spans over 50 years and includes performing in more than 500 concerts worldwide and producing more than 90 musical events. His guest artist will be legendary Jeneane Marie, one of the Las Vegas’ finest female vocalists, who has opened for stars such as Frank Sinatra, Dean Martin, Don Rickles, and Rich Little. 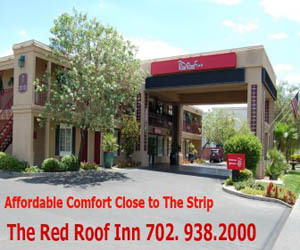 Tickets are $22, $39, $43, call 702-384-0711. OTTO ENOTECA E PIZZERIA AT VENETIAN CELEBRATES NINTH BIRTHDAY: OTTO Enoteca e Pizzeria at The Venetian will celebrate its ninth birthday on April 25. To commemorate the occasion, all month OTTO is offering a collection of three samplings from its Antipasti – Verdure (vegetable) menu for $9 during lunch. For dinner, guests may experience the best of OTTO’s lively, authentic Italian menu with a Tasting for Two for $99. In addition, all day through end of April, the restaurant will feature the refreshing Venetian Spritz cocktail for $9 a glass. DEEPSTACK EXTRAVAGANZA III AT VENETIAN HAS $16 MILLION PRIZE POOL: The Venetian® Poker Room will hold the 60-day, 90-event DeepStack Extravaganza III poker series from May 26-July 24 with $16 million in guaranteed prize pools. Warm-up events will begin on May 16. This mega-event has been running and growing since 2007 and in 2015 it hosted 25,565 players. DeepStack Extravaganza III will feature event buy-ins ranging from $200 to $5,000. SPRING JAMBOREE OFFERS FAMILIES FUN IN BOULDER CITY: The 34th annual Spring Jamboree will transform the beautiful Boulder City parks into a family-friendly weekend festival May 7-8. The four parks in the historic downtown district will come to life with a classic hot-rod car show, hundreds of arts and crafts, live music and entertainment, children’s carnival, treats and beverages. New this year is the rock, gem and mineral show. Spring Jamboree kicks off at 8:45 a.m. on Saturday morning at the gazebo. Event hours are 9 a.m. to 5 p.m. both days. This public event is free and attracts more than 35,000 visitors. THE MOB MUSEUM IS OFFERING JAZZ NIGHTS ON FRIDAYS IN APRIL: As part of Jazz Appreciation Month, a speakeasy mood is filling The Mob Museum on Friday nights in April from 6 to 8 p.m. with jazz music, half-price drinks and no need for a password. This is a perfect fit since Prohibition created the Jazz Age of the 1920s, when gangsters owned the illegal booze trade and competed with small private speakeasies up to elaborate nightclubs. Las Vegas Academy of the Arts will perform on April 15 and 22, and the Las Vegas Jazz Trio will appear on April 29. Admittance is free for museum members or the price of admission to the museum. TIVOLI VILLAGE HOSTS CHEF’S TABLE COMMUNITY DINNER FUNDRAISER: Tivoli Village will host a special under the stars dining event with The Chef’s Table on Sunday, April 17 from 6 to 9 p.m. benefiting Discovery Children’s Museum, as part of the organization’s 25th anniversary celebration. Guests will be seated along the cobblestone streets of the open-air shopping district and experience a five-course meal prepared and presented by five new chefs and dining concepts including Cantina Laredo, Vintner Grill, Peridot Sweets and others. Each of the culinary all-stars will be challenged to make the museum exhibits come alive on each plate, drawing inspiration from some of the origination’s best known attractions such as Patents Pending, The Summit and Eco City. All courses will be expertly paired with select wines and there will be live entertainment from Las Vegas Academy stars, Thre3 Cards plus singer/song writer J. Liberio, along with a silent auction. Tickets for the family-style dinner are $150. TIPS WORTH NOTING: In Las Vegas and Reno, uberESPAÑOL has been launched. This new feature is available to folks who have downloaded the free Uber app on their smartphone. It allows riders to request an uberX with a Spanish- speaking driver-partner. Nevada joins California, Illinois, Arizona and Texas as the fifth state to offer uberESPAÑOL. The Plaza downtown will pay winners the amount of taxes they owe in free slot play on all taxable jackpots up to $20,000 on tax day, April 18. Reminder Frankie Moreno is returning to the Las Vegas Strip with his new headlining show, “Under The Influence,” at Planet Hollywood opening on Saturday, April 23. Moreno has toured with Grammy-nominated artist Billy Currington and Sugarland and had sold-out performances at Carnegie Hall and The Kennedy Center. Tickets range from $33 to $88. His shows will be dark June 13-19. 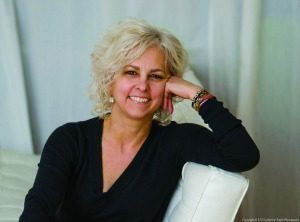 American children’s fiction writer Kate DiCamillo from Minnesota will be holding a reading and signing of her seventh novel, “Raymie Nightingale,” at 6:30 p.m. on April 26 at the Historic Fifth Street School, which is free to the public. She is one of six people to win two Newbery Medals, recognizing her novels “The Tale of Despereaux” and “Flora and Ulysses.” The Fremont Street Experience will host the 21st Annual Susan G. Komen Las Vegas Race for the Cure on Saturday, May 7 with registration starting at 6 a.m. Individuals can participate in a 5K (approximately 3.2 miles) or a 1-Mile Fun Walk. The Race will start at the intersection of Las Vegas Boulevard and Clark Avenue at 8:15 a.m. and finish at the intersection of Fremont East and 6th Street. Las Vegas’ male hip-hop strip show “Aussie Hunks” visited Opportunity Village’s Engelstad campus and conducted a hip-hop dance class for OVIPs. The Aussie Hunks concluded the class by presenting the organization a generous donation.The television viewership of the DENSO Spark Plugs NHRA Nationals held at The Strip at Las Vegas Motor Speedway last weekend delivered 1,292,000 viewers on Sunday’s finals show alone, making it the most-watched NHRA event in 14 years. On Thursday, April 14 from 5:30-7:30 p.m., OV Nation invites the public to attend the Maibock Tapping Party at Gordon Biersch, where 100 percent of silent auction and beer ticket sales will benefit Opportunity Village. Guests can be the first to taste Gordon Biersch’s Maibock, a seasonal unfiltered auburn lager. To celebrate National Military Appreciation month, Cabo Wabo Cantina inside Miracle Mile Shops at Planet Hollywood will offer all active duty military members and veterans with a valid military identification with a 20 percent discount during the month of May. Beginning May 2 and throughout the summer, Palms Pool & Dayclub at Palms Casino Resort will honor different Las Vegas nonprofit charities with Cabanas for a Cause, an annual initiative offering $100 cabanas with proceeds aiding the featured charity of the week. 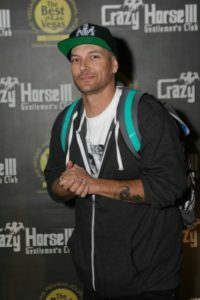 More DJ sets at Crazy Horse III gentlemen’s club are coming up with dancer, musician and actor, Kevin Federline, on Wednesday, April 13 and Saturdays, May 28 and June 18. The+Source medical marijuana dispensary on South Rainbow Blvd. will host an awareness and fundraising event for Parkinson’s disease from 10 a.m. to 8 p.m. on Tuesday and Wednesday, April 19 and 20. COMPOSER AND MUSICIAN JENNIFER BELLOR VISITS NEON MUSEUM: On Saturday and Sunday, April 23 and 24, at noon and 1 p.m., the Neon Museum will host its spring performing artist in residence, UNLV Visiting Lecturer in Composition and Theory Jennifer Bellor. This residency calls for the artist to create a project incorporating the outdoor space at the Neon Museum’s North Gallery. Reservations are required, call 702-387-6366 for this free public event. INAUGURAL KICKBALL TOURNAMENT WILL BE CANCER FUNDRAISER: The Las Vegas Chapter of Speedway Children’s Charities is teaming with the Jeff Gordon Children’s Foundation in the fight against childhood cancer by hosting the inaugural Kick-It Las Vegas kickball tournament on Saturday, April 23 from 9 a.m. to 4 p.m. The family friendly event will take place at the University of Nevada-Las Vegas intramural fields. Anyone age 6 and above is eligible to play, with teams of 12 to 15 players squaring off in a bracket-style tournament for fun and prizes. A $35 donation is required for each player, and awards will be given to the top three teams, as well as to the team with the most creative uniform. Participants may sign up as individuals or register full teams for the day-long event.